Bernard S. Daczkowski, age 86 of Elizabeth Twp., passed away on Monday, July 31, 2017 in Mt. Vernon of Elizabeth. Born January 2, 1931 in McKeesport, he was a son of the late Stanley and Lottie (Matykiewicz) Daczkowski. William F. Griffin, age 83, of Forward Twp., passed away on Sunday, July 30, 2017 at Jefferson Hospital. He retired after 42 years as a financial advisor/accountant and co-owner of Griffin Financial Services in Millvale. He was a member of the National Society of Tax Professionals and HD Vest Brokerage, a subsidiary of Wells Fargo. Sylvia E. (Schmidt) Potopenko, 82, of Munhall, died peacefully on Saturday, July 29, 2017, at her daughter's home. Born July 6, 1935, in Munhall, she was the daughter of the late Sylvester and Ethel (Thompson) Schmidt. A retired telephone operator for AT&T and Bell Telephone, Mrs. Potopenko was a member of St. Gregory Orthodox Church of Homestead. Beloved wife of the late Paul P. Potopenko. She is survived by a daughter, Pamella (Regie) Solomon of Whitaker; a son, Paul (Vicky) Potopenko of Munhall; a brother, David Schmidt; a sister, Marjorie (Carl) Bechtol; brother in law, John Cafaro; five grandchildren, Paul (Andie), Justin, and Katey Potopenko, Seth Solomon, and Bradley (Nikki) Kester; two great grandchildren, Brody and Braxton Kester; and nieces and nephews. Charles "Bucky" Edward Bradley, age 75, of Coulters, died on Saturday July 29, 2017 at home. Donna Jean Cassidy, age 62, of West Newton, PA, died July 30, 2017 from a losing battle to breast cancer. 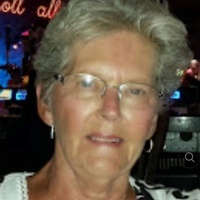 MARY LOU KELLAR age 68, of West Mifflin, on July 27, 2017. She was a daughter of the late George and Dorothy (Cook) Szinai. Mary Lou was a cook and part owner of Salerno’s Pizza in West Mifflin. 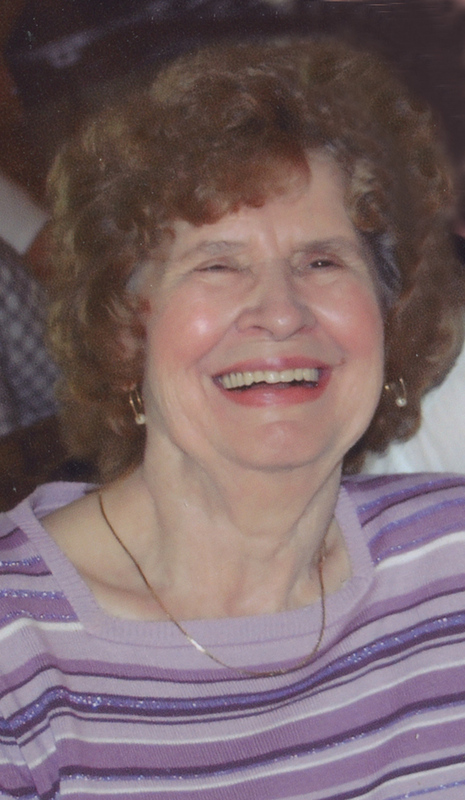 She loved being with her grandchildren, gardening and crocheting. Beloved wife of 51 years to Robert M. Kellar, Sr.; mother of Robert M. (fiancée Tammy Mehaffey) Kellar, Jr. of North Huntingdon, Maryanne (fiancé Keith Falchetti) Kohl of West Mifflin and Edward James Kellar of West Mifflin; grandmother of Brittnie Kohl, Paige Kohl, Logan Kellar, Aubrey Kellar and London Kellar; sister of Judith (Thomas) Stoyanoff of West Mifflin, Theresa (Robert) Connelly, Jr. of McKeesport, Bernadette (Charles) Malos of Murrysville and the late George, James and Margaret “Peggy” Szinai. Friends and family are invited to a memorial visitation on Wednesday, August 2, 2017, their 51 st wedding anniversary, from 10-11 a.m. at Holy Name Church of Christ the Light of the World Parish, Duquesne, followed by Mass of Christian Burial at 11 a.m. Rev. Thomas Lewandowski, officiating. Arrangements entrusted to the MALOY - SCHLEIFER FUNERAL HOME, Duquesne, PA, 412-466-3300. Elizabeth Pallay, 97, of McKeesport, died Wednesday, July 26, 2017 at Kane Regional Center. Born July 17, 1920 in Export Mine, Washington County, PA, she was the daughter of the late John and Esther Feke Pallay. She was a partner of the former Pallay’s Alleys in McKeesport, was a member of the Free Hungarian Reformed Church of McKeesport and attended activities at Community Life. She is survived by her nephew, William S. Brindza of Lucedale, MS and was preceded in death by two sisters, Dorothy Pallay Martin and Mary Pallay Brindza. A service will be held Monday, July 31, 2017 at 10:00 AM in the Free Hungarian Reformed Church, 101 University Drive, McKeesport, PA 15132 with the Rev. Daniel Borsay officiating. Hunter Funeral Home, Inc., 1600 Coursin Street, McKeesport, PA 15132 is in charge of arrangements. The family suggests contributions to her church or The Intersection. June E. Bauman Walsh, age 85, of McKeesport, died July 29, 2017. Born in McKeesport Hospital on July 1, 1932. Daughter of the late Charles R. and Hannah M. Barr Bauman. Wife of the late Thomas Walsh, Jr. and sister of the late Doris, Charles, Ida, and Harry. Russell C. Fretz, age 47 of Port Vue, passed away in his home on Friday, July 28, 2017. Born December 29, 1969 in McKeesport, he was a son of the late Robert H. and Jerene M. (Conrad) Fretz. Richard L. Seibel, 61, of West Mifflin, died suddenly on Thursday, July 27, 2017. Born July 19, 1956, in Pittsburgh, he was the son of the late Howard and Dorothy (Bogdan) Seibel. Mr. Seibel was a self employed contractor. He was the beloved husband of Mary Ann (Witkowski) Seibel, the proud and loving father of Adam (Amber) Seibel, Jesse (Ashley) Seibel, and Sommer (Donald) Stubenrauch. He is also survived by a brother, Timothy Seibel; a sister, Karen Benvin; seven grandchildren, Aubrey, Ty, Callie and Parker Seibel, Ian and Gunnar Stubenrauch, and Hurley Williams. Mildred M. Maderic Verner, 101, of McKeesport, formerly of East McKeesport, died Tuesday July 25, 2017. She was born October 23, 1915 in McKeesport a daughter of the late Paul and Mary (Chorda) Maderic and was also preceded in death by her daughter Mary Elizabeth Kislak and sisters Rose Bretcko and Dorothy Klimchak. She is survived by her grandchildren Alexis (Sean) Raynak and Troy (Susan) Kislak both of Monroeville; great grandson Jameson Raynak, and nephews David and Richard Bretcko and John Klimchak. Mildred was formerly an active member of St. Sava Serbian Orthodox Church, McKeesport, and a retired housekeeper for McKeesport Hospital and the late Dr. Harry Hackman of East McKeesport. Dorothy C. Matykavisch, age 88 of White Oak, died Thursday, July 27, 2017. She was born in Uniontown on September 28, 1928, the daughter of the late Urban J. and Barbara A. Gregoric Pecil. Dorothy was a member of the White Oak American Legion Ladies Auxiliary. She is survived by her husband Anthony D. Matykavisch; sons, Christopher “Bamm Bamm” Matykavisch of White Oak and Donald Matykavisch of Butler, PA. She was preceded in death by her sisters and brother. Dorothy Balawajder of North Huntingdon passed away on Saturday, July 22, 2017, at West Penn Hospital in Pittsburgh. She was born in McKeesport and was the daughter of the late Steve and Elizabeth Katrincsak Geary and the wife of the late Chester Balawajder. She is survived by brother, Jack (Joann) Geary of White Oak, nieces and nephews. Ruthie Mae Smelley Kirkland Martin, 78, of McKeesport, Pennsylvania, passed away Monday, July 24, 2017 in UPMC McKeesport Hospital. Ida (Korap) Pecora, age 97 of McKeesport, died July 23, 2017 at William Penn Care Center. Born December 21, 1919 in New Castle, she was the daughter of the late Michael and Mary (Godek) Korap and wife of the late Andrew J. Pecora, Sr.
Joyce I. Beers, 77, of Rillton, died Saturday July 22, 2017. She was born August 4, 1939 in Pittsburgh, a daughter of the late Wilbert W. and Gladys V. Dingman. She was a graduate of Hampton High School Class of 1957 then worked for the Department of the Navy in Washington, D.C. where she met her husband of 59 years Harold J. Beers. In addition to her husband she is survived by her children Wendy A. (David W.) Henderson of Greensburg, Renia J. Peddicord (Paul O’Brien) of Irwin, and David R. (Gretchen L.) Beers of Rillton; her grandchildren Jennifer N. (Emily Pittman) Peddicord, Juliana E. Henderson, Nicholas H. Beers, and Alexandra D. Beers; her great grandchildren Tanner, Noah, Jake, and Grace; siblings David (Norma) Dingman of Gibsonia, Edward Dingman of Pittsburgh, William (Kim) Miller of Nettie, WV, and Kathryne (John) Docherty of Allison Park as well as numerous nieces and nephews. Margaret (Peggy) Bitton, age 90, of West Newton, passed away Monday, July 24, 2017 at Forbes Regional Hospital, Monroeville. Edward L. Lyons, 85, of North Huntingdon, died Sunday, July 23, 2017 at home. He was born January 4, 1932 in Coulter and was the son of the late Thomas P. Lyons, Sr., and the late Gertrude Weber Lyons. Edward was a member of St. Patrick Parish in Christy Park and the White Oak American Legion. He was a US Navy Veteran and was a retired Stereotyper for the former McKeesport Daily News. He is survived by his twin daughters, Denise L. (Dr. James) McCloy of Mount Pleasant and Darlene (Dr. Tod) Marion of Beaver, grandchildren, Brett (Melissa) Marion, Samantha (Yuli) Marion, Nathan (Lauren) Marion, Michael (Stephanie) McCloy, Ryan McCloy, Jeffrey (Jennifer) McCloy, Jennifer (Timothy) King, Jason McCloy, Kristopher (Mandy) Lyons, Alan (Laura) Beck, Jennalee (Paul) Nguyen, Brianna Beck and Miranda Beck, great-grandchildren, Mila and Parker Marion, Makson McCloy, Jordan and Chase McCloy, Sierra Lyons, and Aryanna and Declan Beck, nieces and nephews, sisters-in-law, Judy Lyons of North Huntingdon, and Ruth Lyons of Coulter, and special neighbors, Art and Judy Bisig. Lana Jean Maldonado LLoyd, age 75, of McKeesport, died July 22, 2017, at Riverside Nursing Center. Born June 4, 1942, in McKeesport, she was the daughter of the late Albert and Hilda (Daugherty) Pack and the wife of the late Kenneth E. Lloyd and she is survived by her first husband, Thomas David Maldonado, Sr., Lana was retired from the Central Blood Bank, located in Pittsburgh. She also worked as an in home care giver throughout her life. She received an Associates Degree, from the Duff's Business Institute, where she studied to become a medical assistant. She enjoyed picnics, visiting parks, watching movies, music and dancing. Lana's true love was spending time with her family. In addition to her first husband Thomas, she is survived by sons, Albert (Lori Jean) Maldonado of Monongahela and Thomas David (Melissa) Maldonado of Valparaiso, IN; grandchildren, Sommer and Kyra Maldonado and Hailey Hapchuck; also nieces and nephews, Scott and Audra Wisser, Lanny and James Pack and Terry (Tom) Pack Price. In addition to her parents and husband, Lana was preceded in death by her siblings, Karen Wisser, Sally and Patty Pack and James Pack. Family and friends will be received at Willig Funeral Home & Crematory on Wednesday, July 26, 2017, from 7 to 9 p.m. and Thursday, July 27, 2017, from 1 to 3 p.m. and 6 until the time of service at 8 p.m., in the funeral home chapel. Pastor Charles Owston will officiate. Jean Frances Osborne, 86, formerly of West Mifflin and Laughlintown, died Thursday, July 20, 2017. She was born Nov. 9, 1930, daughter of the late Katherine Marie (Kilger) Anastasiu and Merle Dwight Osborne, and stepdaughter of the late George "Pop" Anastasiu. She was predeceased by brothers, Harry Osborne, and George and Melvin Anastasiu; her sister, Lois Johnston; a grandson, Justin Bruce Chervenak; a stepgrandson, Bill Prettiman; and a godchild, Mike Speney. She was the former wife of the late George Chervenak; and widow of Matthew Wargovich, of Laughlintown. She is survived by her three loving children, Bruce (Roxanne) Chervenak, Brad John Chervenak, and Jean Marie (John) Fecho; grandchildren, Beth Ann (Eric) Gumbert, and Aleda Marie Fecho; stepchildren, Maria, Patti and Theresa, and their spouses. She is also survived by sisters-in-law, Loretta Osborne and Kathleen Anastasiu; nephew, Eric (Geri) Osborne; nieces, Kathleen Osborne (Richard) Bednarz and Chris Chervenak, of West Mifflin, and Jean's dear godchild, Karen Bisi. In her younger years, she loved to cook, sew, bake and paint. She also worked as a switchboard operator for Bell Telephone for 19 years, and more recently, as a funeral home receptionist and hostess. She was a proud member of McKeesport High School Class of 1948. Her Catholic faith sustained her and brought her joy. Ada A. Moran, age 103 of Versailles, passed away Saturday, July 22, 2017 in UPMC McKeesport Hospital. Born April 1, 1914 in Wyano, she was a daughter of the late Ulderico and Ines Mordacci. 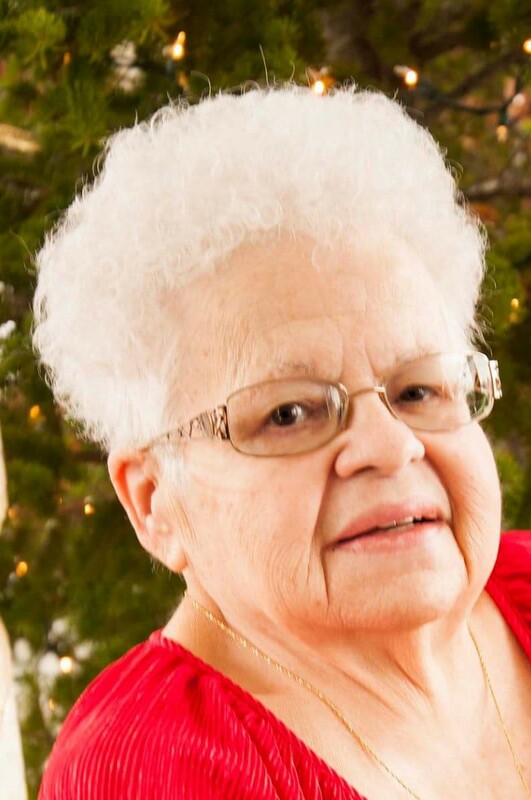 Lorraine Waller Standard 85, of Elizabeth Township, PA departed this life Thursday, July 20, 2017, peacefully at the home of her daughter and granddaughter. Audrey Jean (Behr) Lawnizak, 81, of North Huntingdon, formerly of McKeesport, died Friday July 21, 2017. She was born February 20, 1936 in McKeesport and was the daughter of the late Charles Joseph Behr and Shirley Sawders Evans. She was the wife of the late Eugene S. "Jitters" Lawnizak who died October 12, 1994. She was a retired secretary for the United Steelworkers of America District 15. She is survived by her daughter, Cindy (Karl) Oeler of North Huntingdon and son, Mark (Cheryl) Lawnizak of Greenock , brother, James (Debbie) Evans of North Huntingdon, sister, Patricia Swantek of McKeesport, grandchildren, Jayson Pozzuto, Kristen Oeler, Erin Lawnizak, and Kori Kmetz, great-grandchildren, Kalilyn, Kyran, Jayce, and Jayleonna, sister-in-law, Martha Evans of Buena Vista, nieces and nephews. Tiffany Ann Carloss, age 44, of McKeesport, died on July 21, 2017. She was born in McKeesport on September 5, 1972 and is the daughter of James (Peggy Bajuscik) and the late Carol Ann Anthony Carloss. She was the granddaughter of the late James C. and Dorothy F. Raible Carloss and Tony George and Josephine Bosco Anthony. A graduate of McKeesport Area High School class of 1990, a member and past worthy advisor of Rainbow Girls Old Glory Assembly and she obtained her Bachelor of Science Degree in Education from Duquesne University in 1995. She previously was employed as a switchboard operator for the City of McKeesport for over 15 years. Her constant companion for many, many years was 96.9 Bob FM, Pittsburgh which played day and night. Her favorite song in the whole world was “Life’s Been Good To Me So Far” by Joe Walsh. In addition to her father and Peggy, she is also survived by her sister Tracy Ann Carloss and husband John “Chris” Begley of Brunswick, Ohio, niece and Goddaughter Camille Carolyn Begley and her beloved cat, Suzie Q. Friends will be received at Strifflers of White Oak Cremation and Mortuary Services, Inc., 1100 Lincoln Way, White Oak, PA 15131 (Sue Striffler Galaski, supervisor, 412-678-6177) on Tuesday July 25th from 2 pm until 4 pm and 6 pm until 8pm. Mass of Christian burial will be on Wednesday July 26th at St. Patrick’s Church at 10:00 with Father Thomas Galvin officiating. Burial will take place in New St. Joseph’s Cemetery. Age 80, of West Mifflin, on July 19, 2017, at home. He was the son of the late Frederick H. and Alberta (Crawford) Riley. He was a heavy equipment operator for Langenfelder Corporation and a member of Operating Engineers #66, a member of the Teutonia Mannerchor Club, Duquesne, and he proudly served his country in the Navy. 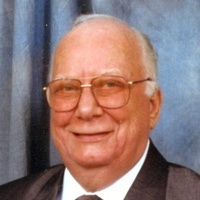 Beloved husband of 55 years to Annette "Honey" (Petro) Riley; father of Thomas (Sharon) Riley of Madison, OH, Michaelene Ross of Bethlehem, PA, Tanya (Douglas) McCombs of West Mifflin and Frederick "Rick" Riley of West Mifflin; six grandchildren, Breanne, David, Jacey, Larry, Hunter and Caleb; also five great-grandchildren; brother of Terry (Geraldine) Riley of Gladys, VA and the late Ruthann Salzer; also many nieces and nephews. Visitation on Sunday, July 23, 2017, from 3-7 p.m. at the MALOY - SCHLEIFER FUNERAL HOME, 915 Kennedy Ave., Duquesne, 412-466-3300, where Funeral Services will be held on Monday at 1 p.m. His daughter, Michaelene Ross, will officiate. Burial will be in Richland Cemetery with military honors. Memorial contributions may be made to one's favorite charity. John R. "Jake"-"Peo" Jakubovics Jr.
Of West Mifflin died Wednesday, July 19, 2017, at UPMC Shadyside Hospital. He was born in Duquesne on November 11, 1936, son of the late John R. and Margaret (Hrizo) Jakubovics, Sr. 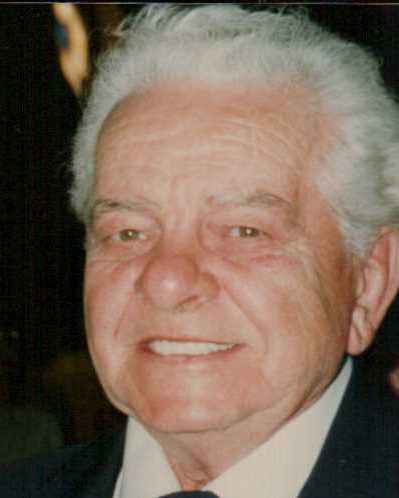 He was the beloved husband of Anita (Bianconi) Jakubovics for over 56 years; he was a parishioner of St. Nicholas Byzantine Catholic Church of McKeesport. He retired from the West Mifflin Boro Police Department after 28 years. He served in the US Army stationed in Ft. Belvoir, VA. He was a member of the FOP Lodge #91 and the Croation Club Lodge #146 Men's Group of Versailles and Leo's Service Center Coffee Club. He was an avid sports fan of the Steelers, Penguins and the Pirates. He loved spending time with his late brothers at their property at Indian Head. He was predeceased by his parents, mother-in-law and father-in-law, Esterina and Vitaliano Bianconi; his brothers, late Edward W. "Whitey" (late Maryann) Hrizo, the late Michael (surviving spouse Barbara) Jakubovic, late Richard (surviving spouse Audrey) Jakubovics; sister, late Betty Ann (late Donald) Galya; and Godson, Dean A. Jakubovic; survived by sister, Marjorie (late John) Moritz of South Park and Dolores Bartko of Donora; and brother, Ernest (Carol) Jakubovic of Valencia; brother-in-law of John (late Matilda) Gelzhiser, Louise (late Albert) Shimkus, Ralphena (Carl) Kastan and John (Janet) Bianconi; his loving and extended family, Mark, Lisa, Shelby (Josh) and Jacob (Thea) Tkach, whose love and support meant so much to him; many nieces, nephews, great-nieces and great-nephews, and great-great-nieces and nephews; and close friends for many years, Bill and Nancy Klasnic and their family. Visitation Sunday 2-8 p.m. at the MALOY - SCHLEIFER FUNERAL HOME, 915 Kennedy Ave., Duquesne, 412-466-3300, where a Blessing Service will be held on Monday at 9 a.m., followed by Divine Liturgy at St. Nicholas Byzantine Catholic Church at 10 a.m. Burial will be in SS. Peter and Paul B.C. Cemetery with military honors. Memorial contributions may be made to St. Nicholas Church, McKeesport, PA 15132. Parastas will be held on Sunday at 4 p.m.
THOMAS ORD TRAVIS Age 72, of West Mifflin, passed into eternal rest on July 17, 2017, at Southwestern Assisted Living, in West Mifflin. Tom was born on July 9, 1945, in Pittsburgh the son of the late Walter L. and Lillie E. (Betty) Ord Travis. Tom spent most of his early life on the west coast returning to West Mifflin in 1960. He attended West Mifflin South High School and graduated with the class of 1963. He attaneded Mansfield University of Pennsylvania and Point Park University, then served in the US Navy during the Vietnam War. He was employed by US Steel Duquesne Works but moved back to Oregon in 1988 and was employed as a Communications Specialist with the Credit Union Association of Oregon, in Beaverton. He enjoyed living in close proximity to the ocean as well as renewing childhood friendships. Tom was also active in the Loyal Order of the Moose in Duquesne, PA and in Hillsboro, Oregon. 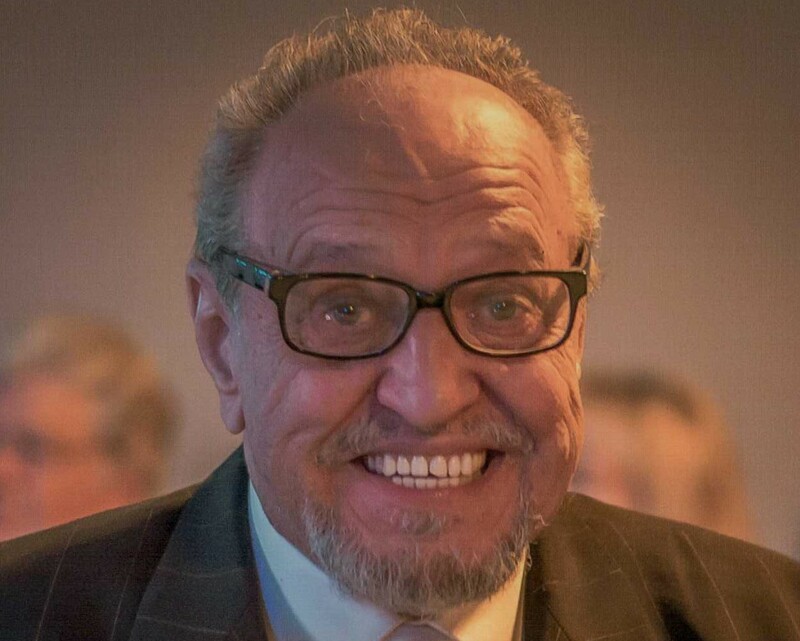 He loved playing golf and fishing and was an avid volunteer fundraiser for children in need. He returned again to West Mifflin in 2013 to be close to his children and granddaughter. He is survived by his son, Thomas O. Travis, Jr. and his daughter, Rebecca "Becki" Fanala, both of West Mifflin; and granddaughter, Madison Paige Lapp, of White Oak; also siblings, Lynda (Ralph) Raniero, of Viola, IL, Ralph (Irene) Travis, of Jefferson Hills, and Nancy (John) Stolley, of Muscatine, IA; and several nieces and nephews. At his request there will be no public visitation or service. If desired, contributions may be made in his memory to Mooseheart, a residential care facility for children and teens in need and a place very close to Tom's heart. Contact http://www.mooseheart.org/. Arrangements entrusted to MALOY-SCHLEIFER FUNERAL HOME, Duquesne, PA, 412-466-3300. Barbara I. Janicki, age 73, of Elizabeth, passed away on Friday, July 21, 2017 at home. Beth A. Roebuck Buckholtz, age 57, of Highland Park, died Thursday, July 20, 2017. She was born in McKeesport on May 21, 1960 and is the daughter of the late Raymond H. and Mary Margaret McCormick Roebuck. GUIDO M. DABRUZZO, 80, of Glassport, died July 20, 2017. He is the son of the late Anthony and Maria (DiPaolo) Dabruzzo and beloved husband of the late Doris (O'Hern) Dabruzzo. He is survived by his children Christopher Dabruzzo, Michael O'Hern and Donna Masse Memmo; grandchildren Brian, Molly and Caress; sisters Jean (Frank) Todaro and Josephine Metz, brother Nick (Loretta) Dabruzzo; also nieces and nephews. He was preceeded in death by his sister Ida Null and brothers Anthony, James and Quirino. Guido was a retired Clerk with the Count of Alleghey and a member of Queen of the Rosary Parish. Friends received Wojciechowski Funeral Home, Glassport, Mon. 6-8. A funeral mass will be held Tues. 10:00 am at Queen of the Rosary Parish with Rev. Miroslaus Wojcicki. George J. Ross, Sr., age 55 of McKeesport, died July 19, 2017. He was born in McKeesport on October 30, 1961, the son of the late Dominic Ross and Carolyn Ross of McKeesport. Clifford Donley, age 80 of Las Vegas, Nevada, formerly of White Oak passed away Tuesday, July 18, 2017. He was born in McKeesport on November 22, 1936, the son of the late Harold Clifford and Lila Long Donley, and he was the husband of the late Patricia Behanna Donley. Wendy L. Murray, 65, of McKeesport, Pennsylvania, passed away Sunday, July 16, 2017 in at home. John Paul McNamara, 93, of Elizabeth Township, died Tuesday July 18, 2017. He was born May 31, 1924 in Duquesne and was the son of the late Edward and Effie Mae Phillips McNamara. John was a member of St. Patrick Catholic Church in Christy Park and was retired from US Steel Duquesne Works. He was also a realtor in his younger years, a voracious reader and writer, and a published poet, in his later years. He was a USMC veteran of WWII serving in 5 invasions beginning with Guadacanal and ending with Okinawa. He was a Technical Sgt., and was most proud of being a Marine Drill Instructor at Parris Island, NC. He was truly loved by all. He is survived by his wife, Shirley Territ Boyd McNamara, daughter, Cynthia McNamara of Elizabeth, sons, Dennis (Dr. Sari) McNamara of Forest Hills, James Boyd of Coxsackie, NY, Rick (Cindy Mols) Boyd of Elizabeth Township, and Kenneth (Mary Beth) Boyd of Cooper City, FL, grandchildren, Lawrence, James (Emily) and Dr. Jeffrey O'Leary, and Ryan, Mark and Kristy Boyd. Kathleen Marie Dixon, 62, of Christy Park, died Monday July 17, 2017. 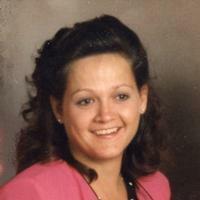 She was born May 17, 1955 in McKeesport and was the daughter of the late Harvey Earl and Wilma Carol Payne Dixon. She was the wife of the late Rudolph Malik. She is survived by her sons, Emil W. Thomas of McKeesport, Robert M. Thomas of Simpsonville, SC, Timothy N. Thomas of Irwin, Donald C. (Ashley) Beluscak, Jr., of Bethel Park, and Dylan M. Beluscak of Irwin, sisters, Carol Hackett of Sierra Vista, AZ, Peggy (Ken) Dresher of Tucson, AZ, Karen Roe of AZ, Julia (Paul) Merbitz of Unionville, TN, Barbara Dixon and Suzan (Tim) Dixon of White Oak, brothers, David (Sherry) Dixon of Massillon, OH, Kenneth (Diane) Dixon of Armaugh, Harvey (Faye) Dixon of Mechanicsburg, and Edward (Deena) Dixon of Buena Vista, grandchildren, Tyler, Gavin, Aiden and Donald, III., aunts, uncles and cousins. Rita E. Crawford, 85, of McKeesport, passed away Wednesday, July 19, 2017 at Excela Health Latrobe Hospital. She was born October 11, 1931 in Cambridge, Ohio, a daughter of the late James and Ann Strahl Shaw. Ozdell Gordon Belk, 85, of McKeesport, Pennsylvania, passed away Saturday, July 15, 2017 in UPMC McKeesport Hospital.Born March 8, 1932 in Bessemer, AL, daughter of the late Cleve Gordon and Lonnie Belle. Donald W. Nyberg, 87, of North Huntingdon, passed away Tuesday, July 18, 2017. Michelle (Galloway) Monte, age 50, of Forward Twp., passed away on Monday, July 17, 2017 at UPMC Shadyside. She was a nurse manager for 28 years for Same Day Surgery and Recovery at Monongahela Valley Hospital. A member of Elrama United Methodist Church, she enjoyed her job as a nurse and most especially spending time with her family and daughter, Gia. George Branick, Jr., age 87, of Tenth Ward, died July 15, 2017, at home. Born August 18, 1929, in McKeesport, he was the son of the late George and Anna (Kanca) Branick and the husband of the late Elizabeth (Sesek) Branick. George retired from US Steel, where he was a machinist. He was a US Navy veteran, serving during the Korean War. He was a member of the Port Vue American Legion Post #447. He was a volunteer at John J. Kane Regional Center, in McKeesport, for over 25 years. George enjoyed fishing and loved his pets. He is survived by a nephew, Edward (Rebecca) Jones of Port Vue; nieces, Sandra Garman of Arizona and Bernie Jones of McKeesport; 5 great nieces; great great nieces. Rodney was born September 15, 1952 in Greenburg, Westmoreland County, Pennsylvania, USA to John W. & Audrey Costella Shine Price. Raymond A. Clark, age 87, of North Huntingdon, died Monday, July 17, 2017. He was born in Pittsburgh on November 26, 1929 and is the son of the late Raymond and Thelma Jackson Clark. He is preceded in death by his wife, Freida J. Walkow Clark. He was retired from Mesta Machine, served in the Navy during the Korean War, and was a Purple Heart recipient. Raymond was a gun collector, model builder, and had a passion for astronomy. He is survived by his daughter, Cherri (Michael) Bucknam of West Mifflin; son, Raymond Keith Clark of East Pittsburgh; grandchildren, David and Christopher Clark. Friends and family may be received Tuesday, July 18th from 4 until 8 pm at Strifflers of White Oak Cremation and Mortuary Services, 1100 Lincoln Way, White Oak, PA 15131 (Sue Striffler Galaski, supervisor, 412 678 6177). Entombment will be Wednesday at Lebanon Chapel Mausoleum. Kindhearted Dr. Ralph A. Benson, age 97, of White Oak, died on July 15, 2017 at UPMC McKeesport. Born April 24, 1920 in Greensburg, he was the son of the late Harry G. and Bessie C. (Baughman) Benson and the husband for 73 years of Mathilda Bendl Benson of White Oak. Mary E. Pasinsky, age 87 of Monongahela and formerly of Clairton, passed away on Saturday, July 15, 2017 in Lawson's Nursing Home in Jefferson Hills. Born June 23, 1930 in Clairton, she was a daughter of the late George and Mary (Inotela) Rosko. Beverly J. Whitney, age 80, of North Huntingdon, passed away Sunday, July 16, 2017 at The Grove at Irwin. Margaret A. Clapie, age 81, of White Oak, died July 15, 2017, at UPMC McKeesport. Born August 10, 1935, in New Castle, she was the daughter of the late Don E. and Annie (Dickson) Clapie. Margaret retired from the Turtle Creek Valley Mental Health Service Mhmr. She also worked for the G.C. Murphy Co. home office, in her early years. She was a member of the St. John’s Evangelical Lutheran Church. Margaret was also a member of SMERFS, which was formed from the former G.C. Murphy Co. employees. Margaret’s true love was enjoying the time she spent with her family. She is survived by her sister, Edna (Samuel) Reitz of White Oak; nephew; Samuel (Darlene) Reitz, Jr., of North Huntingdon , niece, Cheri (Nickolas) Ionadi of Elizabeth Twp. ; nephew, William R. “Rick” Clapie of Sharpsville; great nieces and great nephews, Nicole and Caitlin Ionadi, Ashley (Harrison) Hamill and Samuel Reitz, III, Julia Clapie and Ashley Clapie. In addition to her parents, Margaret was also preceded in death by a brother, William Clapie. Family and friends will be received at Willig Funeral Home & Crematory on Tuesday, July 18, 2017, from 2 to 4 p.m. and 7 to 9 p.m. A funeral service will be held on Wednesday, July 19, 2017, at 10 a.m., in the funeral home chapel. Entombment will follow in the Jefferson Memorial Park Cemetery Mausoleum. Memorial contributions are suggested to Family Hospice Development Dept., 50 Moffett St., Pittsburgh, PA 15243. MARGARET L. GIZOVSKI age 99, of West Mifflin, on July 14, 2017. She was a daughter of the late Andrew and Anna (Pehonsky) Muska; she was a seamstress and a member of the Homeville Volunteer Fire Department Senior Citizens. Wife of the late John J. Gizovski; predeceased by brothers and sisters, Edward (late Josephine) Muska, Stella (late Emil) Stepanik, William V. (late Helen) Muska, Helen Polachak, John Muska; also survived by her caregivers, nephew, Emil "Yogi" (Kim) Stepanik, niece and goddaughter, Margie (Bill) Martinjak; also additional nieces and nephews, Barbara (John) Chasko, Edward (Doris) Stepanik and Nadine (Jim) Chortes; also many great- nieces and great-nephews; also special friend of the late William Dupal. Visitation Sunday, July 16, 2017, from Noon - 4 p.m. at the MALOY - SCHLEIFER FUNERAL HOME, 915 Kennedy Ave., Duquesne, 412-466-3300. Funeral on Monday, July 17, 2017, with a Blessing Service at the funeral home at 9:30 a.m., followed by Mass of Christian Burial at Holy Name Church of Christ the Light of the World Parish, at 10 a.m.
David Edward Forsythe, 66, of Boston, died Tuesday, July 11, 2017. He was born October 24, 1950 in Mount Pleasant and was the son of the late John and Anna Showman Forsythe. He was the husband of the late Shirley Louise Hale Forsythe who died January 15, 2011. David was a US Army Veteran and served during the Vietnam War. He is survived by his son, Cody A. Forsythe of Versailles, daughter, Tina Jo Davis of Texas, grandchildren, David and Daniel Basinger, and a brother, John Forsythe of South Carolina. Kathryn Irene Culbert, 96, of North Huntingdon, formerly of Greenock, died Thursday, July 13, 2017 at home. She was born October 4, 1920 in Greenock and was the daughter of the late Charles and Pearl Smock Ransick. She was the wife of the late Howard Emory Culbert who died August 24, 2000. Kathryn was a member of the Greenock United Methodist Church. She is survived by her daughters, Sue (Rick) Reid of Virginia Beach, VA, Cathy (Craig) Culbert of White Oak, and Janice Kennedy of Elizabeth Township, son, Roy (Teena) Culbert of North Huntingdon, grandchildren, Drew (Dana) Culbert, Kathryn (Eddie) Pope, Shaun (Tanis) Kennedy, Dana (Scott) Ellis, Karlee (Michael) Scott, Kasey (Leigha) Kennedy, and Jonathan, Josiah and Joy Reid, great-grandchildren, Lexis, McCade, Krystian, Kassidee, Ariana, Raven and Kash, and nephew, William (Marsha) Ransick. Ocie “Jack” Yarborough, age 78, of Port Vue, died Thursday, July 13, 2017. He was born in Scranton, S. Carolina on Oct. 7, 1938 and is the son of the late OC and Elizabeth Williams Yarborough. Mary T. Kudla, 90, of Glassport died July 14th 2017. She is the daughter of the late Michael and Angeline (Jablonsky) Golik. Beloved wife of the late Stanley M. Kudla. She is survived by her loving children Ronald (Dolores) Kudla of Bethel Park, Stanley (Bea Ann) Kudla Jr. of Glassport and Kathleen (David) Gwaley of North Huntingdon; grandchildren Natalie Scheiber, Matt Kudla, Jonathan Gwaley, Jason Gwaley and Andrea Kudla; great-grandchildren Holden Sczerba, Addison Scheiber, Aiden Scheiber, and Finley Gwaley; also many nieces and nephews. She was preceded in death by sisters Angeline Jakubek, Helen Stefanic, and Irene Shuster, and brothers Joseph, Michael, Stanley, John, and Ray Golik. Mary was a retired secretary for South Allegheny School District, member of Queen of the Rosary Parish, Rosary Society and Christian Mothers. Friends received Wojciechowski Funeral Home, Glassport Saturday 6-8 and Sunday 1-4 and 6-8. A funeral mass will be held Monday 10am at Queen of the Rosary with Father Miroslaus Wojcicki, interment following St. Mary's Polish Cemetery, White Oak. Alma Esther Williams, 84, of Suffolk, Virginia, passed away Wednesday, July 12, 2017 in Kempsville Health and Rehabilitation Center. Hazusettz Myers, 70, of McKeesport, Pennsylvania, passed away Monday, July 10, 2017 at home. James "Scotty" Panchura, age 54, of West Elizabeth, passed away on Wednesday, July 12, 2017 at home. He was a truck driver for Lehigh Hanson in Pittsburgh. He was a member of Teamsters 249 and enjoyed riding his Harley Davidson Road King and spending time with his granddaughters and family. Dolores F. "Boots" (Caster) Spinneweber, age 87, of Forward Twp., passed away on Thursday, July 13, 2017 at Monongahela Valley Hospital. She retired as a cafeteria worker at Jefferson Hospital. A member of Elizabeth Baptist Church, she was a former aide at William Penn Elementary School and enjoyed square dancing. Mercedes H. Boyer, age 97, of West Mifflin, died July 12, 2017, at Redstone Highlands in Greensburg. Born June 13th, 1920, in McKeesport, she was the daughter of the late Francis and Agnes (Coyle) Dunlay and the wife of the late J. Edward Boyer. Mercedes (Gram) was a loving wife, mother, and grandmother. Jeffery Paul Yarborough, age 58 of Midland, Texas passed away Saturday, July 8, 2017 in Port Vue after having fought a courageous battle with cancer. He was born in Pittsburgh, Pennsylvania, January 19, 1959 and is the son of Ocie “Jack” Yarborough of Port Vue and the late Janet P. Glasser Yarborough Swank. Brianna Dawn Bell, 27 of Irwin, passed away unexpectedly July 10, 2017. She was a graduate of Hempfield High School Class of ’08 and Robert Morris University in 2012 with a bachelor’s degree in psychology. Brianna was an accomplished soccer player serving as captain of her high school soccer team and then being named Women’s Soccer MVP of the Robert Morris Colonials in 2011. She participated in four world soccer championships in Florida. She was a great athlete and enjoyed playing soccer and basketball. She loved kids and was a wonderful aunt. Brianna was an employee of Comcast. She is survived by her parents Joseph R. Bell of Irwin and Cheryl (Skinner) Bell of Irwin; her sister Alahna (Mike) Bell O’Brien of Jeannette, her brothers Joseph R. (Denise) Bell III of Coal Center and Vaughn at home; her grandparents Dolores (the late Joseph) Bell and Peg (the late Herb) Skinner; her niece Ella and nephew Joseph R. IV; also numerous aunts, uncles and cousins;her close friend Marissa Raymond and her beloved Shepherd Juno. Katherine Elizabeth Kaylor, 102, of White Oak, died Tuesday July 11, 2017. She was born November 24, 1914 in McKeesport and was the daughter of the late Ed and Katherine Kubanick. She was the wife of the late Edwin Gilbert Kaylor who died July 1, 2005. She was a member of the Sampson's Mills Presbyterian Church, White Oak. Katherine is survived by her son, Edwin D. (Flo) Kaylor of McKeesport and daughter, Karen Shablik of North Huntingdon, 7 grandchildren, 9 great-grandchildren, 1 great-great grandson, daughter-in-law, Mildred Kaylor of North Huntingdon, nieces and nephews. Stephanie M. (Allen) Ashley, 47, of McKees Rocks, died Sunday July 9, 2017. Daughter of Craig R. Allen Sr. and the late Linda (Jacobs) Allen; step daughter of Sarah Allen; mother of the late Amanda Ashley and Gregory Allen; sister of Jennifer Kowaleski, Craig R. Allen Jr. and Hannah Davis; also two granddaughters, aunts, uncles, nieces nephews, and cousins. Jean E. Obusek, 88, of White Oak, died Monday July 10, 2017 at home surrounded by her family. She was born July 8, 1929 in Port Vue, and was the daughter of the late Waclaw and Helen Murawka Grabowski. She was the wife of the late Joseph Paul Obusek who died December 20, 1993. She was a member of St. Angela Merici Catholic Church, where she volunteered at the yearly summer festival. She was also a member of the First Catholic Slovak Ladies Association and Jednota. Jean retired from Minerva Bakery in McKeesport and had also worked for Stratigos in White Oak. She is survived by her sons, Gary J. (Kellie) Obusek of Millville, Delaware and Kenneth A. (Michele) Obusek of White Oak, sister, Irene Ramski of White Oak, 8 grandchildren, 6 great-grandchildren, and nieces and nephews. Ronald Spencer, Sr., 72, years old of Haleiwa, Hawaii, passed away Monday, July 3, 2017 at home. Thomas E. Styche, age 71, of Weedville, and formerly of Buena Vista, passed away on Tuesday, July 11, 2017 at home. He retired after more than 30 years as a plant manager for Elizabeth Carbide Components in Latrobe. An Army veteran serving during Vietnam, he was a life member and past chief of Buena Vista Fire Co. and a life member of the National Rifle Association. He was a charter member of the Elizabeth Twp. Sportsmen's Club, and a member of the American Legion in Weedville, Masonic Polaris Lodge 375 in McKeesport, and the Sinnemahoning, Mosquito Creek and Ridgeway sportmen's clubs. 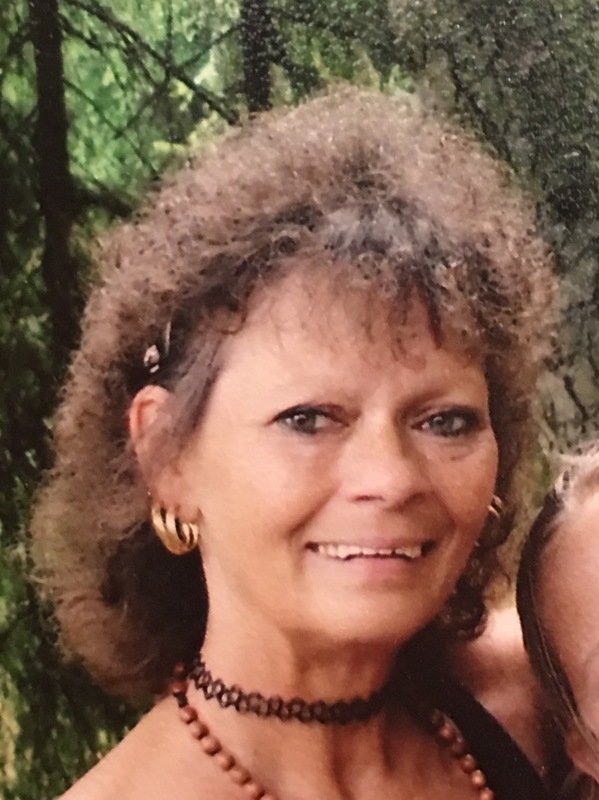 Cheryl A. Whoolery, age 61 of Port Vue, died Wednesday, July 12, 2017. She was born in McKeesport on July 21, 1955, the daughter of the late Milton E. and Antionette Bazzone Whoolery. Ingeborg “Bobbie” Baylor, age 91 of West Mifflin, died Wednesday, July 12, 2017. She was born in Hamburg, Germany on October 9, 1925 and is the daughter of the late Carl and Lina Hochstetter Mueller. She was the wife of the late George A. Baylor. She was a chemist for the Pennsylvania Water Company and also taught German and English at the high school level. She is survived by her son, Mark J. Baylor of Lewistown, PA, daughters, Penny (Kent) Hammer of Houston, Texas, Robin (Fred) Capp of Littleton, Colorado, Wendy (James) Walton of Pittsburgh; 4 grandchildren; and 1 great grandchild. Francis M. Zovko, Sr., age 87 of Clairton, passed away on Tuesday, July 11, 2017 in Jefferson Hospital. Born October 21, 1929 in Clairton, he was a son of the late Joseph M. and Julia (Ciker) Zovko. Walter Strauss, age 73 of North Huntingdon, passed away at home on Tuesday, July 11, 2017. Born October 7, 1943 in Glassport, he was a son of the late Walter (Mariel) and Mazie Strauss. God called an angel home. Irene Genevieve Balint, age 91, of McKeesport, died July 10, 2017, after a brief yet fierce, battle with cancer. Born in McKeesport, November 9, 1925, she was the daughter of the late Joseph and Genevieve Mika Maykut and the wife of the late Stephen J. Balint. Irene was retired from the Internal Revenue Service, where she worked as a clerk. In her earlier years, she worked at Menzie Dairy. Edward J. "Poco" Malack, 55, of Irwin, formerly of McKeesport, died Saturday July 8, 2017. He was born March 4, 1962 in Braddock and was the son of Patricia A. Kain Malack of White Oak, and the late Edward R. Malack who died January 26, 2015. Poco worked for Walmart in North Versailles and had previously worked for the Marriott Corporation in Maryland and Tramps in Pittsburgh. He was a 1980 graduate of Serra Catholic High School and attended Mount Union College where he played football. He was also a graduate of Community College of Allegheny County. Poco was an avid runner and participated in many Triathlons. He enjoyed family, friends, music and playing pool. Urszula I. Ptak, age 69 of North Versailles, died Monday, July 10, 2017. She was born in Poland on June 2, 1948 and is the daughter of Benedykt and Lucja Fatz Kubera. Randy G. Miller, age 55 of West Mifflin and formerly of Clairton, passed away at home on Sunday, July 9, 2017. Born August 29, 1961 in McKeesport, he was a son of the late George L. and Sarah M. (Smith) Miller. Dolores M. Husok, 88, of McKeesport, PA, passed away at Royalton Manor on Thursday, July 6, 2017. Ronald A. McIntosh, 65, of Hobe Sound, FL, formerly of North Versailles, died Sunday July 2, 2017. He was born June 8, 1952 in Duquesne, a son of Esther L. (McBride) McIntosh of North Versailles and the late William D. McIntosh and was also preceded in death by a brother Richard D. McIntosh. Ron was an Air Force veteran of the Vietnam Conflict, a retired jet engine mechanic for Pratt & Whitney and was a member of the Veterans of Foreign Wars. In addition to his mother he is survived by his brother William D. McIntosh Jr. and his wife Daryl of Avonmore and nieces and nephews. Dennis M. O’Brien, 84, of North Versailles, died at home Saturday July 8, 2017. He was born August 14, 1932 in North Braddock, a son of the late Michael E. and Elizabeth M. (Yussen) O’Brien. Dennis served in the U.S. Army, then did his apprenticeship at Westinghouse Electric and retired as vice president of manufacturing and engineering, tool and die maker, with Precise Metals & Plastics, North Versailles. He also owned and operated Mold Polishing Inc. for ten years. Dennis enjoyed coaching when his children played sports and also enjoyed stained glass, gardening, and landscaping. He was an avid golfer and a member of S & A golf league. He is survived by his wife of over 56 years, Sue Ann (Gobbel) O’Brien; his children Patrick D. O’Brien of Delaware, OH, Timothy S. (Patti A.) O’Brien of Peachtree City, GA, and Kelly S. O’Brien of North Versailles; his grandchildren Shawn P. Michael P. (Tia), Casey J. ,Shane P., and Elizabeth A. O’Brien; sisters Patricia E. Davis of Verona and Noreen M. (Jack) Watkins of Upper Saint Clair; also many nieces and nephews. 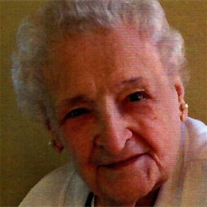 Evelyn M. Clark, 96, of Jefferson Hills, passed away on Saturday, July 8, 2017 to be with her loved ones who went before her. She was born July 10, 1920 to the late George and Anna Klein Algas. In addition to her parents, Evelyn has been reunited with her loving husband of 58 years, the late Kenneth A. Clark, brother Edward Algas and grandson Jason Clark. She is survived by her three children; Cheryl D.(Bill) McKenna of Irwin, Kenneth R. Clark of New Market, Virginia, and Keith D. (Bethanne) Clark of Elizabeth. Francis J. Chandler, 89, of Glassport died July 6, 2017. He is the son of the late Adam and Cecilia (Nicikowski) Chlystek. Beloved husband of Dolores (Moritz) Chandler, in which they celebrated their 68th wedding anniversary on June 15th. He is survived by his children Joseph (Mitzie) Chandler of MN, David (Kathie) Chandler of Chippewa, PA, James (Patti) Chandler of Greensburg,PA, and Mary Ann (David) Pohill of Richeyville, PA; grandchildren Stacy (Ryan) Rhoads, Stephanie (Stan) Marinos, Jennifer (Brian) Stepp, Valerie (Luke) Eckley, David (Amy) Chandler, Nickolas (Jess) Chandler, Jesse (Courtney) Chandler, Joshua (Dominique) Chandler, Matt (Celine) Weaver, Mandy (Shawn) Weaver, Josh Weaver, Lindsey Rohrer, and Rachael (Steve) Fiedler; great-grandchildren Caden, Brayden, Racquel, Rayce, Ava, Bria, Kyla, Gage, Garrett, Brooke, Hannah, David, Hunter, Katelyn, Gavin, Aubrey, Jude, Brennen, Skyler, Everleigh, and Evelynn; brother John Chlystek of McKeesport; also nieces and nephews. Mary "Dolly" Magdaline McGuire, age 74 of McKeesport, passed away on Saturday, July 9, 2017 in John J. Kane Regional Center, McKeesport. Born September 6, 1942 in Pittsburgh, she was a daughter of the late Joseph and Catherine (Bivacqua) DeGrazia. Jessica L. Cooper-Carter, age 36 of Moon Township died July 7, 2017 at Sewickley Valley Hospital. She was born July 24, 1980 in Rochester, Pa., a daughter of Austin and Valerie LaBach Cooper. Jessica was a 1980 graduate of Moon High School. She enjoyed writing poetry and loved animals. 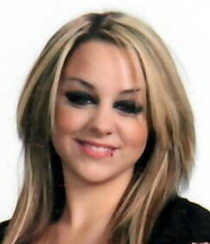 She was preceded in death by her husband, Kelly Carter in 2016. In addition to her parents, she is survived by her son, Ethan and one brother, Christopher. Friends and family will gather on Thursday, July 13 from 2-4 p.m. followed by a memorial service in the funeral home chapel at 4:00. James W. Shirley Funeral Home, 176 Clay Pike, North Huntingdon in charge of arrangments. Memorial contributions may be made to ASPCA. www.shirleyfuneralhome.com. Patty Lou (Gardner) Piovesan, age 86 of North Huntingdon died July 7, 2017 at UPMC East, Monroeville. She was born July 3, 1931 in Cambridge, Ohio, a daughter of the late Kenneth and Audrey Jones Gardner. She was preceded in death by her husband Robert A. and one sister, Carol Farmer. She is survived by a niece Lori Cimino and a nephew Barry Farmer and his wife Sandy, brother in law, Sam Farmer. Patty's request was for a private viewing. Friends may gather at Penn Lincoln Memorial Park Chapel for a service on Monday at 11a.m. James W. Shirley Funeral Home, North Huntingdon in charge of arranegments. www.shirleyfuneralhome.com. August A. “Auggie” “Gus” Stinner, age 92 of White Oak, died July 7, 2017 at Southwestern Healthcare Center. Paul D. "Whitey" Makatura, age 74 of Port Vue, passed away at home on Friday, July 7, 2017. Born October 19, 1942 in McKeesport, he was a son of the late Andrew and Charlotte (Roeder) Makatura. 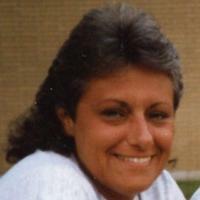 Cheryl D. Hanko, age 59, of White Oak, died July 5, 2017, at Family Hospice in Elizabeth. Born June 27, 1958, she was the daughter of John and Shirley (Flading) Hanko. Cheryl was a faithful member of St. Angela Merici Church and presented the gifts at Mass. She loved to travel and visited much of the United States and Mexico. She enjoyed airplane rides, word puzzles and especially dancing. A member of MYARC, she bowled on MYARC’s Bowling League. Cheryl had great determination; she was a fine swimmer, successful in her 30 year employment at Mon-Yough Community Services and a 1979 graduate of McKeesport’s Special Education Program. Most of all, her life brought joy to her parents, and her pretty smile will be remembered by all those whose lives she touched. Marie J. DeSimone, age 94 of Jefferson Hills, passed away at the Center for Compassionate Care in Mt. Lebanon on Thursday, July 6, 2017. Born May 14, 1923 in Gallatin, she was a daughter of the late Michael and Josephine (Triglia) Ripepi. Margaret (Barcala) Serdy, 93, formerly of West Mifflin and Duquesne, died peacefully Tuesday, July 4, 2017 in Autumn Ridge, Monroeville. Born in Braddock on November 16, 1923, she was the daughter the late George and Susanna (Hrenyo) Barcala. Mrs. Serdy was a member of Holy Trinity Roman Catholic Church, West Mifflin, The Confraternity of Christian Mothers, Duquesne Annex Senior Citizens, and Meals on wheels. She loved driving and her independence. 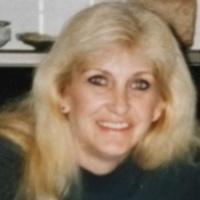 She was the beloved wife of the late Steve Serdy, she is survived by two sons, Andrew G. (Alexis Chontos) Serdy of West Mifflin and Stephen T. (Susan) Serdy of Trafford; a daughter, Veronica Squires of Philadelphia; a sister, Mary Ann Patterson of Florida; two grandchildren, Rebecca (Brian) Meadows and Sandra (Bradley) Bellante; and six great grandchildren, Noelle, Chloe, Gavin, Christopher, Sabrina and Emelia. Lillian E. Feltes Deland, 90, of North Huntingdon, passed away Tuesday, July 4, 2017. She was born February 2, 1927 in Sutersville, a daughter of the late Adam and Martha Ferguson Feltes and was also preceded in death by her husband Michael R. Deland, a son Robert Feltes, and brothers Adam, George, John and Carl Feltes. Lillian retired from Westinghouse, Bloomfield, NJ, with over 30 years of service. 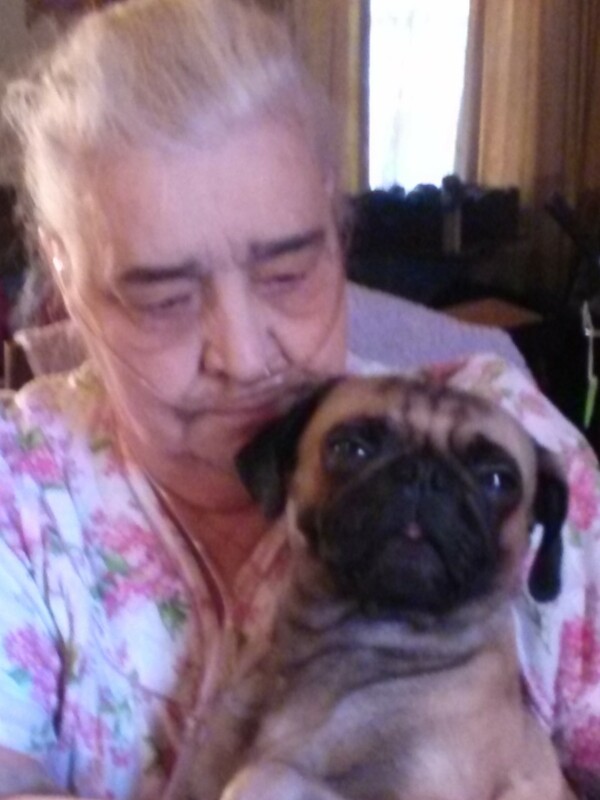 She loved bingo and going to the casino and was an avid reader. She was a member of the Church of the Immaculate Conception, Irwin and a former volunteer at the Herminie Senior Center. She is survived by her sister Isabelle Acalotto and a brother Frank (Janet) Feltes both of North Huntingdon; her pet cat Inky; and numerous nieces and nephews, great nieces and nephews, and great great nieces and nephews. Nancy C. Hill, age 70, of Greensburg, passed away Thursday, July 6, 2017 at Excela Health Westmoreland. John R. Stoffer, 93, formerly of Port Vue, passed away peacefully on July 4th, 2017. He was born in Lamberton, Pennsylvania on March 22, 1924, the son of the late George and Anna Proschok Stoffer. Husband of the late Margaret Dudik Fabic Stoffer. Loving step-father of JoAnn (the late Tom) Brenner of Level Green, PA and Nancy (the late Joe) Niccolai of Bethel Park, PA. Beloved grandfather of Stacie (Rick) McDermott of Manor, PA, Sherry Niccolai of Austin, TX and Shelley (David) Nill of Bethel Park, PA. Cherished “Zedo” of Ryan and Sydney McDermott. MARLENE A. GOEDEKE, 69, of West Mifflin, died July 5, 2017. She is the daughter of the late Andrew and Ann (Babjak) Ferencz. She is survived by her daughter Kristy Goedeke; brothers Ronald and Andrew (Connie) Ferencz and loving cats Shorty and Ginger. Marlene was preceded in death by her sister Kathy Lesko. Funeral arrangements by Teichart-Gracan Funeral Home, Duquesne. Services will be private. 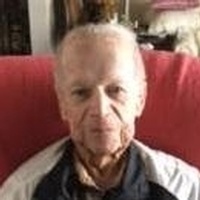 Lawrence R. "Pat" Power, 92, died July 4. 2017 at Weatherwood Manor, Greensburg. Janice L. LeWinter, age 79, of White Oak, died July 3, 2017, at UPMC McKeesport. Born May 14, 1938, in McKeesport, she was the daughter of the late Edward Wilson and late Mary (Wargo) Wilson Borowitz. She is survived by her husband of 51 years, Harry LeWinter. William Tomko (Uncle Bill), age 84, of Blaine Hill, passed away on Monday, July 3, 2017 at Jefferson Hospital. He retired from U.S. Steel Irvin Works and was the owner of Tomko Service Star Hardware in Elizabeth. An Army veteran having served in the Korean War, he was a member of St. Michael Parish in Elizabeth, a lifetime member of Blaine Hill Volunteer Fire Co., and a member of the Blaine Hill Pool Team and Linesville Sportsmans Club. Richard S. Sarocky, age 71, of North Huntingdon, passed away Tuesday, July 4, 2017 at the VA Hospital, Oakland. Robert L. “Wooze” Beiter, 86, of North Huntingdon, died Sunday July 2, 2017. He was born December 27, 1930 in Paintertown, a son of the late Frank R. and Gertrude (Long) Beiter and was also preceded in death by siblings, Marie Smetak, Josephine Yurisinec, Alma “Kate” McSweney, and Frank “Gene”, John, Marion “Major”, William, and James Beiter. He was a retired brakeman for the Union Railroad and also founded Beiter Tree Service in 1951 retiring from both in 1984. He was a Navy veteran and belonged to many clubs and fraternal organizations over the years. Surviving are his companion Rita Pulling; his children Sharon (Duane) Stanoszek of North Huntingdon and Robert N. (Mary) Beiter of Irwin; his grandchildren Lisa (Mark) Jones, Jennifer (Scott) Kallenborn, Sara Stanoszek (Jose Davila), and Brad Beiter; his great grandchildren Hunter and Cristian; his siblings, Richard (Arlene) Beiter of Irwin and Almeda Brentzel of North Huntingdon; also nieces and nephews. William R. Richards, 101, of White Oak died Monday July 3, 2017. He was born September 6, 1915 in McKeesport, a son of the late Edward and Lena (Smearman) Richards. In addition to his parents he is preceded in death by his wife Eleanor (Frencik) Richards; his brothers James, Fredrick, Daniel, and Edward Richards. Bill is a U.S. Merchant Marine veteran that served during WWII. He is a retired employee of Bevan Construction, East McKeesport and a longtime member of the American Legion Post 701, White Oak. He is survived by his children Donna (Donald) Johnson and Nancy (Ron) Crossett all of North Huntingdon; grandchildren James (Vicki) Crossett, Robert (Kristine) Crossett, Daniel (Lacie) Crossett, Neil (Wendy) Johnson, and Eric (Amy) Johnson; great grandchildren Cory, Brady, Karlie, and Tanner Johnson, Nicholas Crossett, Jacob and Josh Gelzheizer; and nieces and nephews. Ruth (Morrison) Alexander, 96, of Ocean View, DE, formerly of North Versailles, went home to be with her Lord and Savior on Saturday July 1, 2017. She was born June 9, 1921 in Wilmerding, a daughter of the late Earl and Lillian (Davenport) Morrison and was also preceded in death by her husband of over 47 years James Alexander and brothers Harry, Earl, Richard, and George Morrison. She is survived by her children William (Katherine) Alexander of Greensburg and Janis (Alan) Greijack of Ocean View, DE; her grandchildren William (Kelly) Alexander, Shannon (Jason) Mathews, and Michael Greijack; her great grandchildren James and Julia Alexander, Jacobi, Malachi, and Jonas Matthews, Brayden Greijack, and Avery Burkhart; also nieces and nephews. Ann (Joan) Fazio, of North Huntingdon, died peacefully at home on Tuesday, July 4, 2017. GREGORY E. “GREG” KELMECKIS age 49, of Oakmont, formerly of Munhall, on July 3, 2017. He was the son of Edward and Geraldine (Nahory) Kelmeckis of Munhall; he was a Safety Engineer for RSR Corporation headquartered in Dallas, TX. Greg enjoyed reading, watching movies, bodybuilding and liked to be kind to people. He was known as a polymath. He was a graduate of the University of Findlay, Ohio with an MS in Environmental Management, a graduate of Indiana University of Pennsylvania with a BS in Safety Science, Indiana University of Pennsylvania with a BA in Economics and attended Carnegie Mellon University. He was known as an A.B.E.T. by his peers. He was the beloved husband of Latresa (Daniels) Zak Kelmeckis; stepfather of Nyla Zak, at home; brother of Tammy Kelmeckis of Kennedy Twp. ; nephew of Florence (late George) Matta of White Oak, Leah (Fred) Chbosky of Upper St. Clair, Mary Ann (Charles) Anderson of Monroeville and Bert (Alice) Nahory of Hanover, PA; also survived by cousins. Visitation on Friday, July 7, 2017, from 2-8 p.m. at the MALOY - SCHLEIFER FUNERAL HOME, 915 Kennedy Ave., Duquesne, 412-466-3300. Funeral will be on Saturday with Parting Prayers at the Funeral Home at 9:15 a.m., followed by Mass of Christian Burial at Holy Angels Church at 10 a.m. Rev. Robert Ahlin, officiating. Entombment Jefferson Memorial Park Mausoleum. FRANK J. MATUSCHEK Jr. age 91, of West Union, IA formerly of West Mifflin, on June 24, 2017, at home. He was retired from US Steel Duquesne Works, a member of St. Joseph's Church in Duquesne and he proudly served his country in the Army during WWII. Beloved husband of 66 years to Marianne (Turlik) Matuschek; father of Gary (Pam) Matuschek of Merritt Island, FL, Frank "Rick" (Darla) Matuschek of Elizabeth, PA, Daniel (Regina) Matuschek, of Penn Hills and Mary Lee (Daniel) Cullen of West Union, IA; also 23 grandchildren; and 13 great-grandchildren. There will be no visitation. Family and friends are invited to a Memorial Mass of Christian Burial at St. Joseph's Church on Wednesday, July 5, 2017, at 10 a.m. Rev. Thomas Lewandowski, officiating. Burial will be in St. Joseph Cemetery with military honors. Arrangements entrusted to MALOY - SCHLEIFER FUNERAL HOME, Duquesne, PA 412-466-3300. Karen Lee Donaldson, 69, of White Oak, died Saturday, June 24, 2017. She was born September 13, 1947 in McKeesport and was the daughter of the late John William and Lois Walt Donaldson. Karen was a retired music teacher and worked for the McKeesport Area School District for 32 years. She taught music at McKeesport Area High School also serving as Director of the Tiger Marching Band at the Senior High and finished her career Francis McClure Middle School. She was the first women band director in Pennsylvania. Karen was also Musical Director for the McKeesport Little Theater and was a musician for the Pittsburgh Symphony, the Newport Jazz Festival, and the former Holliday House in Monroeville. Loretta Ann "Guga" Reeder, 58, of Gilbert, SC, formerly of Dravosburg, passed away peacefully while surrounded by family on Sunday, July 2, 2017 after a brave fight with lung cancer. She was born December 29, 1958 and was the daughter of the late Larry and Mary (Vucetic) Reeder. Loretta was a wonderful mother to her children and to all who crossed her path. She was hard working and a jack of all trades. She loved nothing more than her Pittsburgh Steelers, playing softball, gardening and the beach. Guga was outgoing, so full of life and always treated everyone like family. She is survived by her children, Andrew John Markatine of Charlotte, NC, Amanda Catherine Markatine of Gilbert, SC, Sarah Breeze (Rick) Kill of Logansville, GA and Michael Joseph (Jordan Lindler) Morrison, Jr. of Charlotte, NC, two grandchildren, Arianna Allison Markatine and Jaydyn Reeder Clark, Siblings, Rosalyn Reeder of Summit, SC, Betty Jo Reeder of McKeesport, John Reeder of Dravosburg and Cheryl "Poopsy" (Michael) McKelvey of Dravosburg, Nieces and Nephews, Shannin Reeder, Rosalyn and John Reeder, Caitlin, Tony and Harlie Ann McKelvey. Walter Lewis Harr, 94, of Port Vue, died Saturday, July 1, 2017. He was born October 3, 1922 in Steubenville, Ohio and was the son of the late Walter T. and Olive Jean Stigg Harr. He was a retired Fireman at the former US Steel National Tube Works. He is survived by his wife, Vera A. Como Harr, children, Karen (Robert) Campbell and Ginger L. (Kevin) Ulmer of Elizabeth Township, and Kit M. Wygonik of Trafford, step-children, Gerald (Rita) Pellecchia of North Huntingdon, Debra (Richard) Medina and Richard Pellecchia of McKeesport, daughter-in-law, Sue Pellecchia of East McKeesport, sister-in-law Barbara Harr of McKeesport, many grandchildren, great-grandchildren, nieces and nephews. He was preceded in death by his son, Alan Harr, step-son, Peter Pellecchia, brothers Charles and Norman (Rita) Harr, and son-in-law, Bruce Wygonik. Roland Homer Reynolds, 92, of Versailles, died Thursday June 29, 2017. He was born August 31, 1924 in Versailles. Roland was the son of the late Homer S. and Mary Belle Exton Reynolds. He was the husband of the late Yvonne "Bonnie" Swartz Reynolds who died July 1, 2009. He was a member and former Sunday School teacher at the Christy Park United Methodist Church. He was also a member of Versailles American Legion Post 939, and the Thursday Old Timer Golf League where he also served as secretary. Roland scored a hole-in-one at the 9th hole at Butler's Golf Course when he was 89 years old. He was a US Army Veteran serving in the 503 Parachute Regiment from 1943-1945. Roland was retired from C.H. Lacey Plumbing and Heating Co.
Lawrence Edward Blakey, 61, years old of McKeesport, Pennsylvania, passed away Thursday, June 22, 2017 in Canterbury Place. Timothy M. Jeffcoat, age 44 of Liberty Borough, passed away on Saturday, July 1, 2017 in Allegheny General Hospital, Pittsburgh. Born March 3, 1973 in McKeesport, he was a son of Grace E. (Garish) Jefferson Gall of Glassport and the late Willie L. Jeffcoat. Joanne P. Voltz, age 75, of Hazelwood, Pa., died July 1, 2017 at Manor Care, Pittsburgh. She was born December 19, 1941 in Pittsburgh, a daughter of the late John and Beauleh Rounds Noonan.